The Green PRESS 8 and Green PRESS 5 can provide both preventive and curative therapy for all these conditions. Therefore, they are a valuable acquisition for every physiotherapy office, hospital, beauty salon, wellness or spa center. 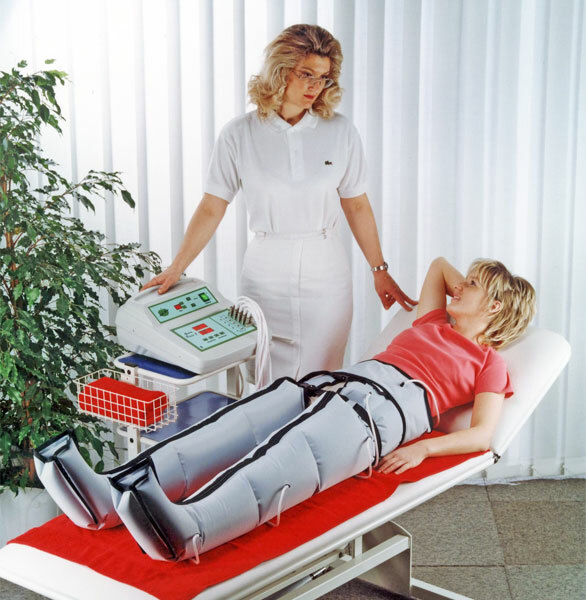 Both Green PRESS models are computer controlled devices based on the principle of manual lymph drainage. The air is pumped into the cuffs that consist of 8 or 5 compartments. 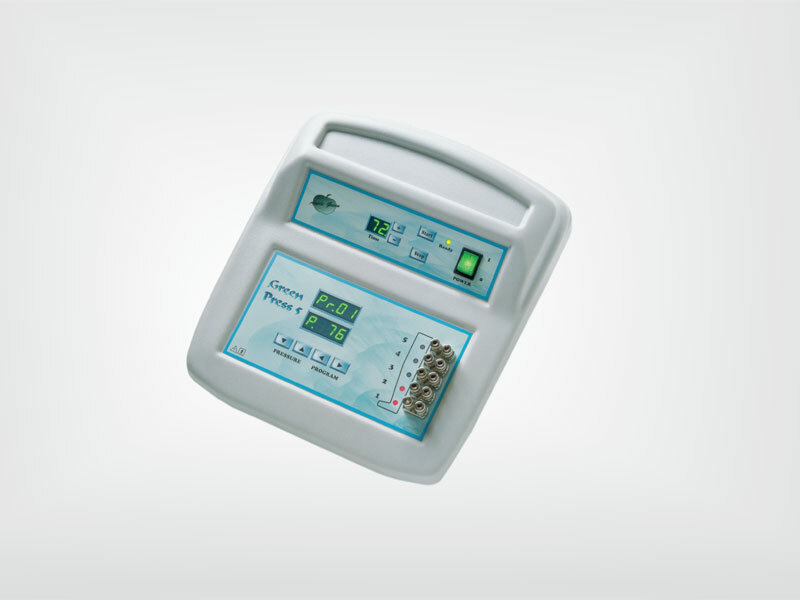 The compartment pressure is adjustable and can be easily controlled via front board of the instrument. Release and compression of the different vascular and lymphatic structures during the drainage immediately results in the influx of blood along with nourishing elements, and the elimination of fluids and metabolic waste products. This leads to the edema reduction, stimulation of a sluggish immune system, enhancement of cellular level immunity, reduction of scar tissue, and last but not least, reduction of cellulite. The devices offer seven pre-set programs that help the therapist to select the optimal treatment for each individual patient and/or condition. Additional seven or fourteen programs are free to be created by the user according to her/his experience and needs. The Green PRESS devices offer a variety of applications ranging from the treatment of edema, veins, and injuries of musculoskeletal system to the treatment of all cellulite stages. In addition, they also represent an excellent complementary therapy to various body contouring and cellulite reduction techniques (cavitation treatment, ultrasound therapy, electrotherapy, anticellulite creams, etc. ).